Australia is a wonderful place to visit. It is a country and an entire continent; and with all of the amazing sights and environments, it is like a whole world unto itself. The cities along the coasts are as modern as they come, full of life, culture, and fun. The bush is home to a host of animals only found in the Land Down Under while the Red Center has some of the most interesting natural formations on the planet. A week-long trip to this alluring land is probably six months too short. It could take a lifetime to see all of the marvelous wonders and experience all of the great things Australia has to offer. But if it is only a week you have, then you better narrow down your list of adventures to just a few. With so many things to see, it can be difficult to pick the destinations you want to see the most. Especially if you have never been to Australia; the choices become too difficult. To make it easier for you to come to a decision, here are some tips to help you in your decision-making process. If you are a big city dweller then you are used to seeing tall skyscrapers, thick traffic, museums, and luxury restaurants. This is probably your comfort zone and you may want to stick to the more urban areas of Australia. The major cities of the country all line the coasts, mostly the eastern edges of the continent, and can provide all of the amenities that you enjoy in your hometown. There are three cities that most international flights arrive in. From these three points, your adventures begin. 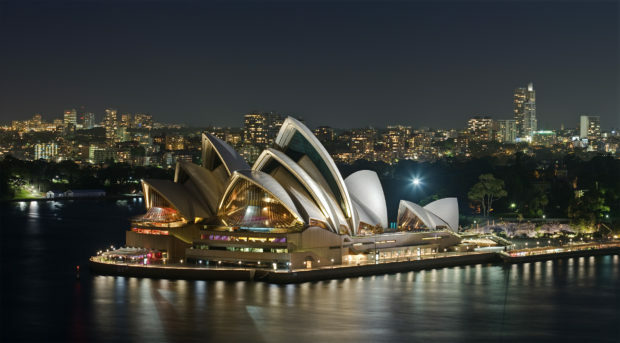 Sydney has grown since its beginnings as a British penal colony and is known as the center for culture and art in the country. The Sydney Opera House, made world famous for its unique angular design, sits on the harbor. Viewing the opera house from the top of the Sydney Harbor Bridge is a spectacular occasion; one that most Northern Hemisphere denizens will likely never see. Take advantage of the opportunity! Much of the historically significant sites are still intact. Tours help educate visitors on the colonial past of the country while the museums, such as the Australian Museum, educate on the rich aboriginal history of the country. Located in one of the suburbs of the city is the social center of South Bank. This is a park and recreational area focusing on cultural activities. There are performing arts centers and art galleries and science centers in this state capital. If you have never been to Sea World, well now is your chance. Sea World Gold Coast brings you closer to the creatures living under the sea. The Australia Zoo will do the same for land animals. Made famous by the Crocodile Hunter Steve Irwin, this conservation park is a short drive from the city and is an amazing place to visit during your trip. This city is located on the southeastern tip of the country and has as much to offer as the previous two major cities. You will be so enthralled with the comforts of Melbourne you will be inspired to get a luxury bedding set that is as good as the hotel’s. Melbourne is riddled with laneways full of local shops and boutiques; enough shopping to make a shopper give up the habit. Prehistory and art can be found in the Melbourne Museum, with the Carlton Gardens nearby for some botanical artistry. 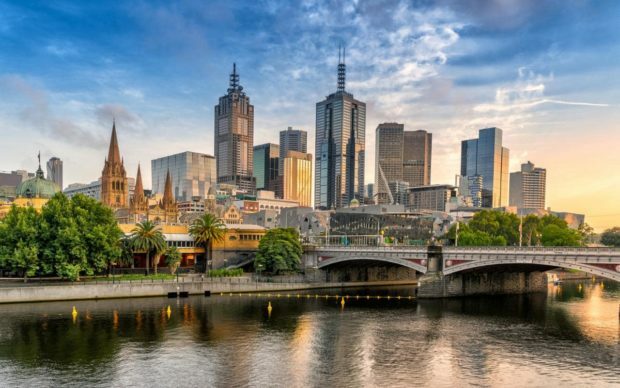 If it is culinary art you seek, then Melbourne is full of it. Asian cuisine mixes with various European flavors, local dishes, and surprisingly, Mexican food. It could take you a month to try all of the different types of food in this city. The bulk of the country is rugged, untamed by man even after 200 years of colonization. And this is great for those of you who prefer experiencing the beauty of the natural world. The three cities listed above are great places to jump into your outdoor adventures. 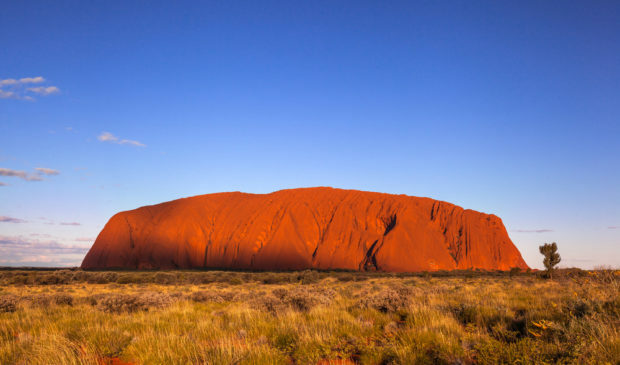 A giant 1000-foot tall formation of sandstone juts up from the center of the Outback. It is a mile wide and six miles around; it can take hours to circle around this natural landmark of Australia. It has been smoothed by millions of years of rainwater and preserves aboriginal cave drawings thousands of years old. 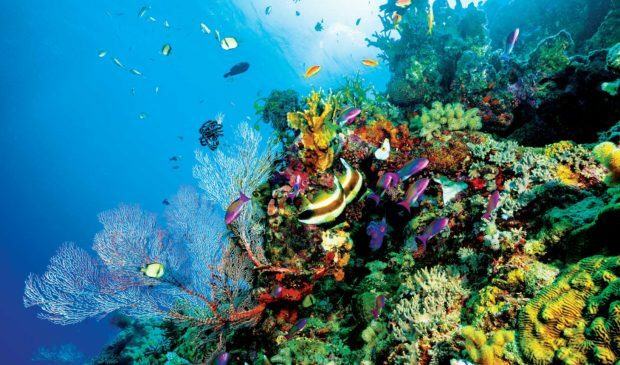 Surfing and snorkeling in and around the Great Barrier Reef is alluring to adventurers and sightseers alike. The beauty of the clear blue waters surrounding you and the plethora of fish and animal species is a near-indescribable experience. Surrounded by the sounds of the waves above and the colors of the living coral below, you will be in awe of this amazing display of nature that stretches along most of the east coast. 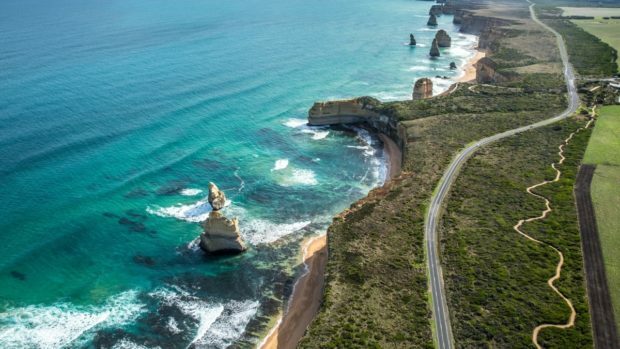 This road extends from just outside Melbourne and travels along the southern Australian coast, ending near Warrnambool. There are so many great sights to see along this 150-mile roadway. All along the cliff-like coastline you will see the effects of natural erosion; millions of years of ocean waves crashing against the edges of the continent, breaking it down into standing stone formations that are works of art in themselves. Island Archway and the 12 Apostles are two great examples of what you will see.